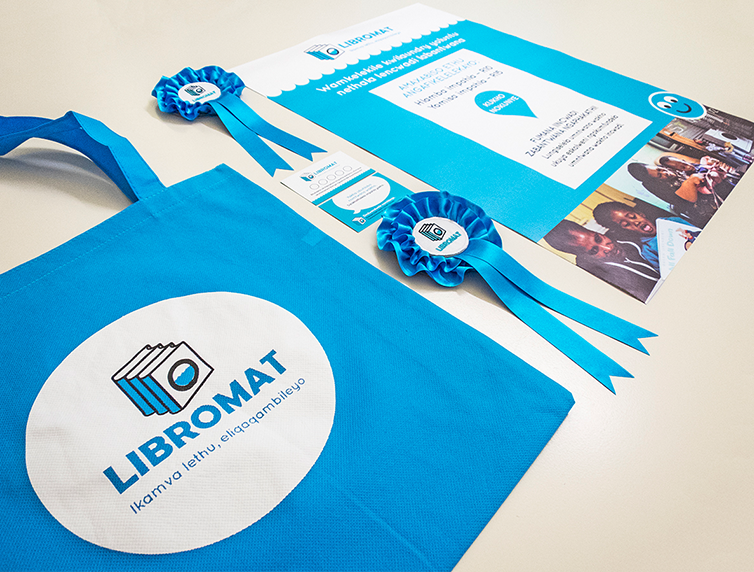 Libromat uses laundry services to create non-formal, supportive spaces for parental education and empowerment. We were asked to develop their brand (from an existing logo), as well as their marketing strategy to pinpoint their target market, and to fine-tune their messaging which then led to developing an integrated marketing campaign to fit their budget needs. 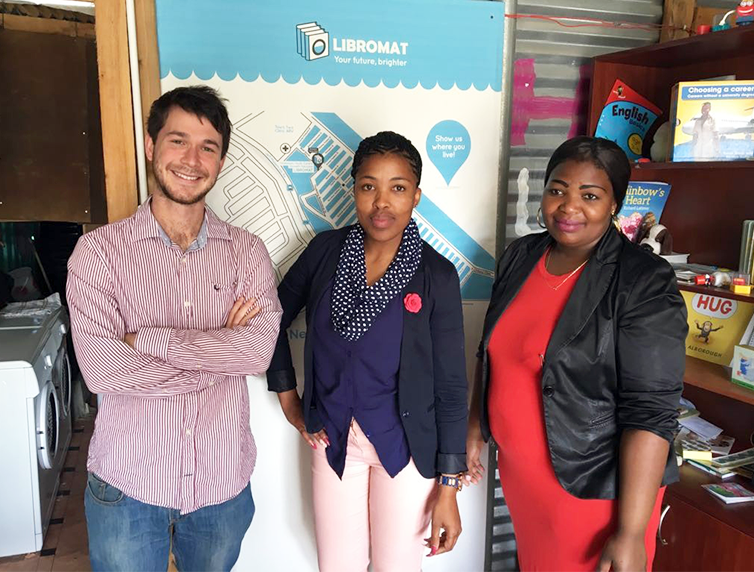 Libromat approached us to help them, given our knowledge and insight with working in the informal communities. 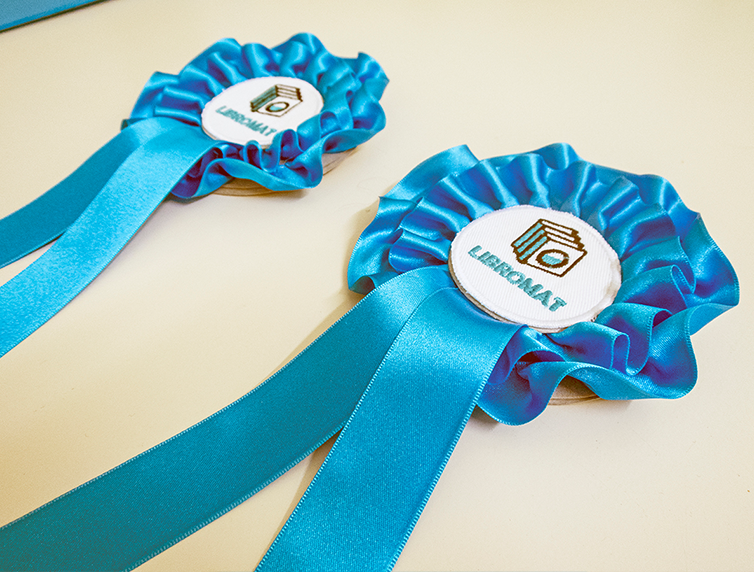 The branding took the shape of physical signage and promotional items, including a laundry bag, rosettes for the librarians/staff, a large pin-board map locating the targeted areas, loyalty cards, as well as signage posters. 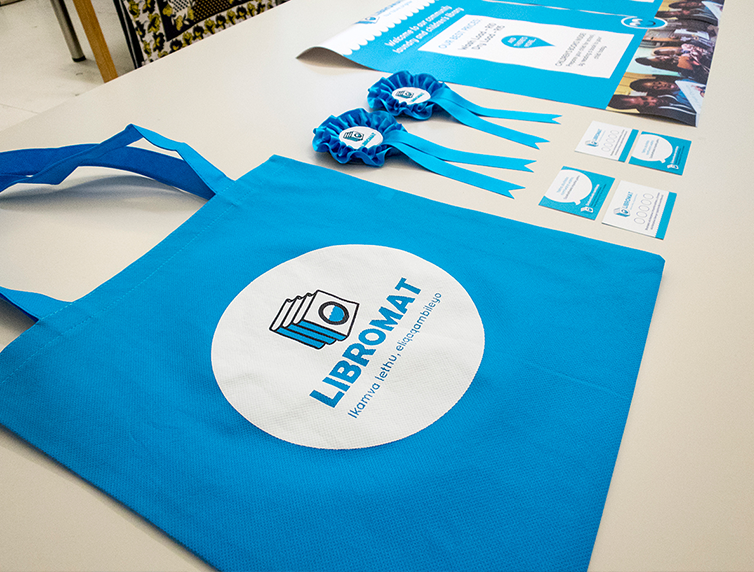 We made some suggestions (delivering on them), including spray-painting and using blue laundry pegs, using blue balloons guiding people toward library, and a blue carpet at the entrance. 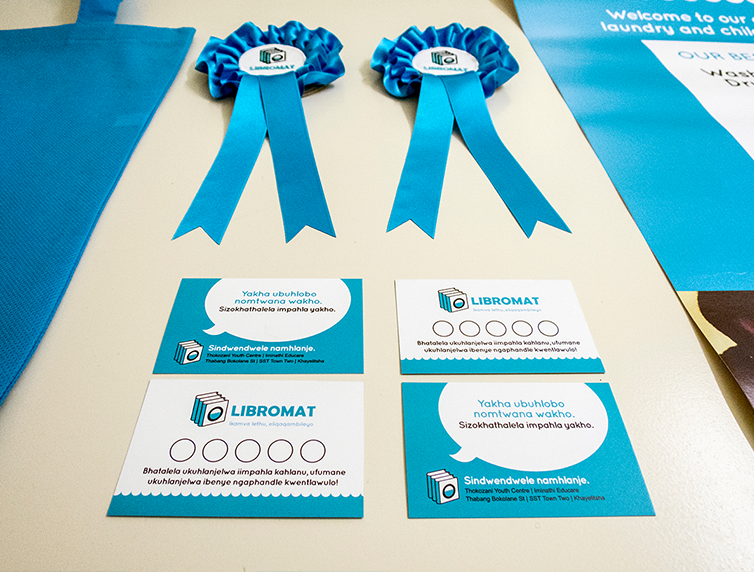 We assisted with the decor of the Libromat spaces as well. We were also asked to do a marketing training workshop and gave PR assistance to one of their interns to help her roll out the marketing strategy which we developed. We also acted as a support team for this new endeavor.